Liverpool returned to the Premier League summit after a brief hiatus on Sunday courtesy of a tremendous 2-0 win over Chelsea at Anfield. Aside from a five minute period in the second half, the Reds dominated proceedings from start to finish, with goals from Sadio Mane and Mohamed Salah getting the job done. Salah’s strike was a real highlight and ensured that Jurgen Klopp’s team would be taking all three points from an enthralling contest. The German understandably looked elated after the game. 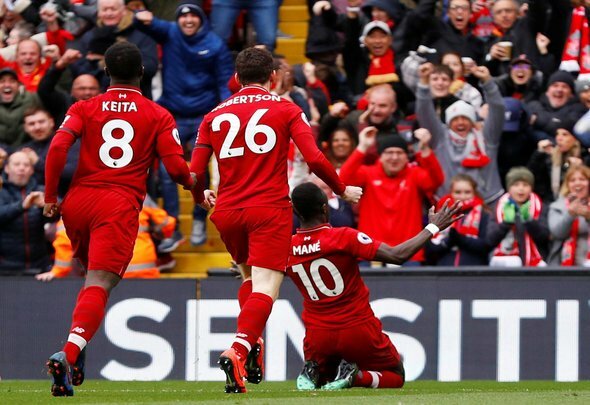 As usual there is plenty to be gleaned from the game, and Live4Liverpool has rounded up three things that can be learned from Liverpool’s win over Maurizio Sarri’s side. Fabinho proved once again on Sunday why he is crucial to this Liverpool team. He was excellent against the Blues, patrolling the midfield with menace and tenacity, and making life incredibly difficult for the opposition. He is in the team to do just that, and he carried out his instructions to the letter at Anfield. The 6ft 2in Brazilian [Source: Transfermarkt] shut Chelsea down in an emphatic display of dominance. Sarri’s team have the consensus best defensive midfielder in the world in N’Golo Kante, but there’s no doubt that, on Sunday at least, the Reds star massively outplayed the Frenchman. When you’re in the midst of a crunch game against a top level side you need your big players to show how good they are and come out with something special. Salah did that and then some against Chelsea. What. A. Goal. That was simply a phenomenal strike from the Egyptian international, cutting in from the left hand side and unleashing a truly unstoppable shot that rocketed into the top corner of the net. Kepa Arrizabalaga, the world’s most expensive goalkeeper no less, could do nothing but watch as the ball sailed past him. It was a moment of pure genius from the 26-year-old and it was crucial in securing another precious three points for Klopp’s team. In the second half of the season Mane has been the difference maker for Liverpool, and so it proved once again on Sunday. Salah’s strike is undoubtedly the headline act from an engaging contest, but the Senegal star’s intervention minutes prior was arguably even more crucial. The 27-year-old put his side ahead with a trademark finish, stealing in unmarked at the back post to convert captain Jordan Henderson’s terrific cross. That’s what he’s been doing all season, and he is so important to this Reds team now. He is the man for the big occasion, as he’s showed so many times before. If Liverpool go on to win the Premier League title, they’ll owe the former Southampton man a big debt of gratitude.